Creating Halloween cards with free templates and examples. Drawing Halloween cards has never been easier. Halloween cards are normally sent by people to express their Halloween wishes for their family and friends. Halloween cards can be bought everywhere, however, we still believe that designing Halloween cards yourself can best display your creative ideas and special tastes. Actually, designing Halloween cards could be so much fun. 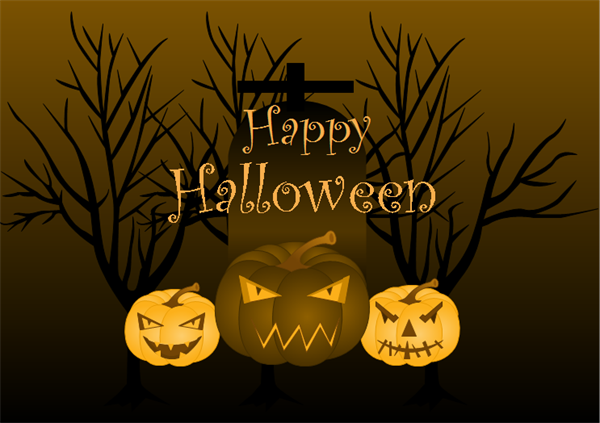 Designing Halloween cards with the help of Halloween card software is quite easy and convenient. Come and act now to free download the Halloween card software to design your own Halloween cards. 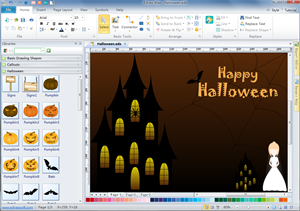 Halloween card software is your good assistant to design a Halloween card. Using Halloween card software to make Halloween cards is quite convenient and easy. You definitely should download the Halloween card software to experience the designing process of the Halloween cards. 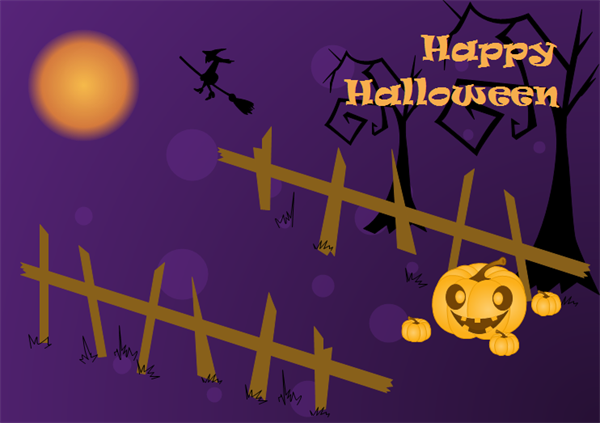 You will surely enjoy designing the Halloween cards yourself if you give the Halloween card software a try. Funny and scary Halloween card example. Download it for free. Edit it and insert your best wishes for the receiver. See more Greeting Card Examples. This is a perfect Halloween Card example showing how well our Halloween Card symbols work together. It only take less than 5 minutes to finish such a well-designed card. Try it now. Pumpkin Halloween card template. 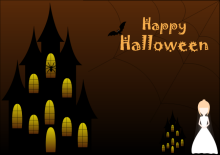 Click on the picture to download this editable Halloween Card example. A unique example of Halloween Card. You can use a greeting card program to design more ecards like this one.